Is the Shroud indeed the burial cloth of Jesus, or is it a medieval fake? Do the Gospels narrate real events or are they mere legends? The answer to these questions is not secondary since it involves deeply our lives. Certainly, the Shroud is the most studied archaeological find in the world, and the Gospels constitute the only key to its interpretation. 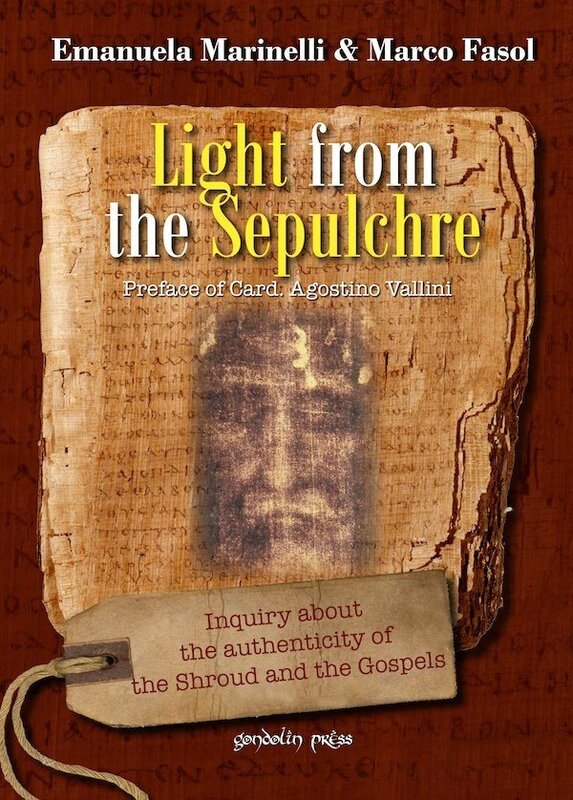 This link between Shroud and Gospels, therefore, suggested to the Authors to combine the latest scientific research on the Shroud to an investigation equally scientific and documented on the reliability of the Gospels. Summarizing in a single text the results of the natural sciences and the historical ones, in short form and a language accessible, so as to offer an essential synthesis for the modern man who does not want to remain illiterate about the deepest questions. Emanuela Marinelli graduated in Natural Sciences and Geological Sciences at the University “La Sapienza” of Rome. She has taught in state schools. Lecturer in Italy and abroad, she has written many articles and sixteen books, on the subject of the Shroud. Her books has been translated into various languages, and among them, La Sindone, storia di un enigma (1998), La Sindone, analisi di un mistero (2009), La Sindone, testimone di una presenza (2010), Alla scoperta della Sindone (2010). Marco Fasol graduated in Philosophy at the Catholic University of Milan and graduated in Religious Studies at the Theological College “San Pietro Martire” of Verona. He teaches history and philosophy in the secondary schools “Alle Stimate” of Verona. He is the author of several essays, including the best seller Il Codice svelato (2006), defending the historical authenticity of the Gospels, I vangeli di Giuda (2007), on the Gnostic Apocrypha, and Eros greco e amore cristiano (2011), all published by Fede & Cultura Universitas.